PT Salim Ivomas Pratama Tbk is one of Indonesia's largest vertically integrated agribusiness companies. The company is a leading manufacturer of edible oils and fats (branded cooking oil, margarine and shortening). Its principal activities span the entire supply chain from research and development, oil palm seed breeding, oil palm cultivation and milling to refining, branding and marketing of cooking oil, margarine, shortening and other palm oil derivative products. As a diversified agribusiness group, Salim Ivomas Pratama is also engaged in the cultivation of rubber, sugar cane and other crops as well as the crushing of copra. 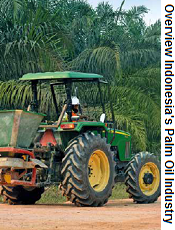 • Plantations Division; engages in the commercial cultivation of oil palm plantations. Most of the revenue is generated through the sale of crude palm oil (CPO), fresh fruit bunches (FFB) and palm kernel. Other commodities that are cultivated include sugar and rubber. • Edible Oils & Fats Division; engages in the manufacture and sale of palm oil-based cooking oil, margarine and shortening for the domestic and overseas markets. The company owns large planted areas in Sumatra (Riau, North and South Sumatra), Kalimantan (West and East Kalimantan), Sulawesi and Java. In June 2011, the company conducted an initial public offering (IPO) on the Indonesia Stock Exchange (IDX). Through this corporate action it raised IDR 3.3 trillion. Salim Ivomas Pratama owns a 59.5 percent stake in Perusahaan Perkebunan London Sumatra Indonesia (Lonsum).